If you had 3-4 days in Africa and could go anywhere and do anything, where would you go and what would you do? That’s just how I approached Africa on my most recent trip. Faced with so many options and wanting my last four days to be purposeful, I took to Twitter. 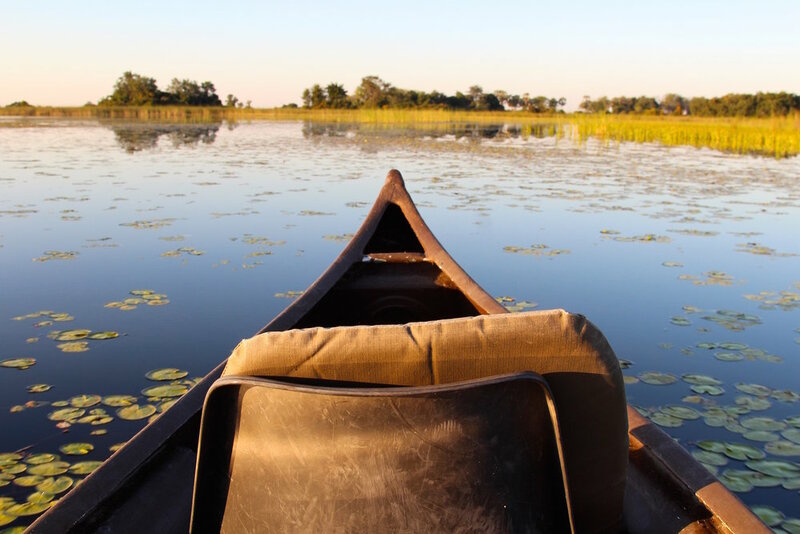 Almost immediately upon asking, I got a reply from new follower Reynard van As of Tourism That Cares, “What about canoe the Delta, safari around Chobe National Park, boat down the Chobe River, cross the Zambezi River, and view Victoria Falls?” Needless to say, I had some questions. Was this for real? Did he mishear four days as four weeks? Was Aladdin going to suddenly pop out of a gold oil lamp to say his staple line, “Made you look”? Following a couple of beers (and many stories) later that afternoon with Reynard and Tourism That Cares founder, Adrian Lange, and I had a 96-hour itinerary for Okavango Delta, Chobe National Park, the Zambezi River, and Victoria Falls. The stipulation? The itinerary fell through if there was any one delay on any of my 10 flights and transfers, including the first of which that gave me an hour to disembark, go through customs, check in to my next flight, go through security, and board. Using their handler service reserved normally for VIP clients, I was fast-tracked through Johannesburg International Airport. I ran down the escalator to my gate just in time to hear the gate agent say over the intercom, “We’re about ready to board flight SA 8300 to Maun, Botswana.” I had made it with time to spare, and made the other 9 flights and transfers. What resulted in the next 96 hours was some of the most fulfilling, purposeful travel I’ve had to date. The following four days saw me flying in a prop plane over the largest elephant population in the world, floating down the world’s largest inland delta, Okavango Delta (where I happened upon hippos and a pride of lions), crossing one of Africa’s largest rivers, the Zambezi, viewing the world’s largest waterfall (Victoria Falls), and exploring the largest concentration of wild game in Africa (Chobe National Park). Those are like several individual trips, and I did it in 96 hours sans time machine. Now that's traveling with purpose. But as amazing (and equally terrifying) as it was walking up on a pride of lions or looking down Victoria Falls, what stood out to me was the purposefulness of this trip. And it began when I met Reynard and Adrian. Adrian, a South African, worked on the front lines of charities in the poorest parts of South Africa, helping finance over 800 micro businesses. But after being held at gunpoint in one of the poorest townships outside Cape Town he worked in, he shifted his focus to networking and using his influence regionally and internationally, to channel funding and awareness to smaller charities who were typically grass roots level and not well funded. The underlying passion stayed the same, and this is what Tourism That Cares was born out of. " I told Adrian that I wanted to experience one of their “Journeys With A Purpose” itineraries like one of their traveler. What this meant indirectly was that $50 from my trip (and $50 from every single tour booked by Tourism That Cares) goes back to a rural village or school. Directly, it meant that through forward-thinking safari lodges that are empowering local villagers to become trained up in eco-tourism, I could experience firsthand the communities that were being positively impacted. 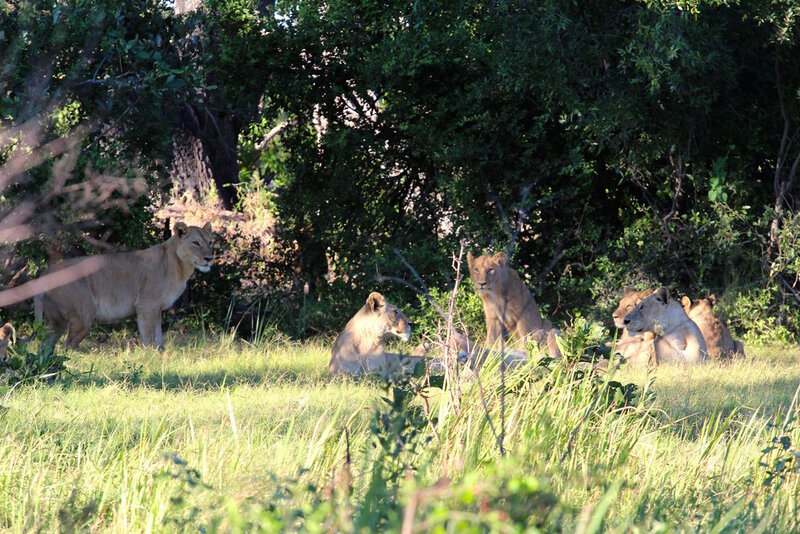 Generally speaking, I was taken aback by some of the tourism practices I experienced, especially in Botswana. And I mean taken back in a way to say to myself, why isn’t everywhere following these examples? Camp Okavango, for example, has an incredibly small environmental footprint, which is aided by the fact that no vehicles are allowed on the island amidst the Okavango Delta. While originally trucking bottled water in, they now use a Reverse-Osmosis system to filter and purify water to a TDS (total dissolved solids) of less than 5 ppm. For reference, the average American home has a TDS of around 350ppm. The second half of my trip took me to Chobe Game Lodge. 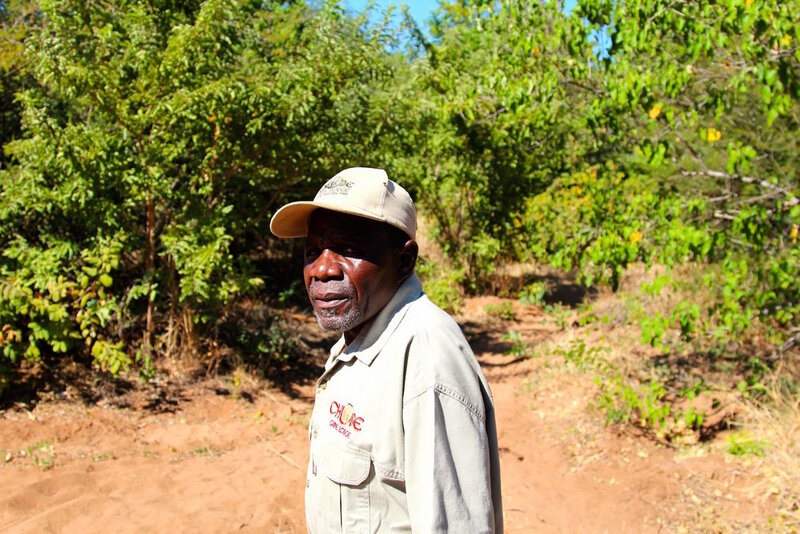 Here, I met 30-year veteran, Albert Ndereki, who now oversees the ecotourism program for what’s one of the most eco-friendly properties in all of Africa. And let me tell you, Albert has some stories. I got to spend a morning with Albert, as he took me on a tour to get a first-hand look at the property’s ecotourism programs, which includes a fleet of electric boats and vehicles (all of which will be electric in the coming weeks and months). And listen to this ladies and gents, every single one of their guides are female. Your driver, your safari guide, and your boat captain, all of them are female. All of this really represents a way of life, and not just a way of travel, in all of Botswana. Unlike most of the world, wildlife largely roams free in Botswana. Yes, even those 100,000+ African elephants roam freely, which I noticed walking to my lodge on my first day in Botswana, where I noticed an elephant footprint outside my bedroom window. Additionally, hunting in Botswana is completely banned, and there’s a zero tolerance policy toward poaching. In fact, Botswana has one of the lowest poaching rates in all of Africa (due in part to the "shoot to kill" toward poachers), with some countries even moving their wildlife to Botswana. This is due, in part, to these sustainable tourism initiatives that engage proactively with surrounding tribal communities rather than exclude them behind a fence line. Amidst the cocktail, sunset, and landscape photos I share online, I often struggle with travel, especially on a trip to somewhere like Africa, where I wonder what the expense is to the economy and those who call it home. Several years ago I wrote about some of these questions I had about if travel was an act of selfishness. A trip like this one to Botswana, Africa with Tourism That Cares reinforces that it’s not in fact selfish. That as satisfying as it is for the traveler, it can be purposeful and satisfying to those people in the destination, leaving a last impact beyond just an arrival and departure date. You can actually take the traveling with purpose itinerary that I traveled on, called “The Best of Botswana Safari” by Tourism That Cares. The difference being that on my trip, I replaced Savute with Victoria Falls. How do you think travelers can better travel with purpose?